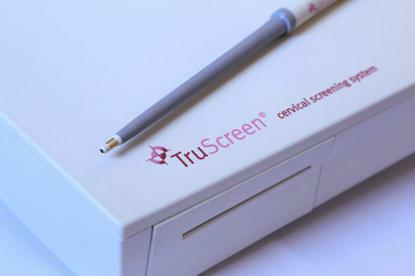 A New Zealand company with real time cervical screening technology will list on the NZAX this month. CEO Martin Dillon says while the company’s initial focus is on cervical screening, the technology has potential application for detecting cancer in a broad range of tissue types, including bowel, oral and pharyngeal. The device also removes the need for scraped samples, which makes the TruScreen procedure more comfortable for women and more culturally acceptable for some ethnic groups, he adds. “The technology has undergone many years of clinical trials and gained regulatory approval in numerous countries, including the coveted CE mark for Europe,” Dillon says. Dillion says the Auckland based company’s first marketing focus is on developing nations where national screening programmes like those offered in New Zealand and Australia are not already in place. “Around 70% of cervical cancer cases occur in low income countries - primarily due to the cost of establishing a population based monitoring framework,” he adds. “These issues can be remedied with TruScreen which offers real time results and is completely portable, allowing medical teams to reach remote areas and provide immediate, accurate diagnosis,” he adds. “The screening operators do not need to be qualified GP’s, as the device requires minimal training and automatically alerts them if the screening is not conducted correctly." “In one of the most profitable Asian markets we operate in, we have one programme where our devices screened 50 women daily per device, representing a per device income of $70,000 per annum," he adds. "Of course not all devices will have this throughput but it does demonstrate the enormous potential of our technology." Already the new business has generated revenue of $400,000 in export sales in the first six months of this financial year, and has been given a capital funding boost of $6.5 million from a group of professional investors. Dillon says the working capital is directed towards the acquisition of inventory, the securing of IP, the expansion of markets and ongoing product development. “Our sales forecast for the 2016 financial year is in excess of $10 million but the market potential is much larger," he adds. "There are around 1 billion women of screening age living in our target economies. That $10m represents just 0.15% of this target market. “One third of these women live in China, where our distribution model is already well advanced." “Key elements of each of the three main production processes are held in-house," he explains. "No external supplier has enough information to replicate the integrated unit." So far 144 million shares have been issued, and at $0.10 per share he says the majority New Zealand owned firm will have an expected market capitalisation of $14 million at listing.